Meg Lytton has always known of her dark and powerful gift. Raised a student of the old magick by her Aunt Jane, casting the circle to see visions of the future and concocting spells from herbs and bones has always been as natural to Meg as breathing. But there has never been a more dangerous time to practise the craft, for it is 1554, and the sentence for any woman branded a witch is hanging, or burning at the stake. Sent to the ruined, isolated palace of Woodstock to serve the disgraced Elizabeth, daughter of Henry VIII and half-sister of Queen Mary, Meg discovers her skills are of interest to the outcast princess, who is desperate to know if she will ever claim the throne. But Meg's existence becomes more dangerous every day, with the constant threat of exposure by the ruthless witchfinder Marcus Dent, and the arrival of a young Spanish priest, Alejandro de Castillo, to whom Meg is irresistibly drawn - despite their very different attitudes to her secret. 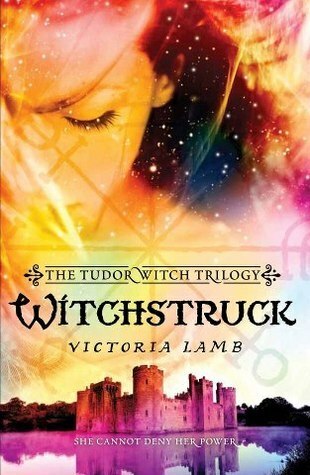 Witchstruck is a delightful tale of magic and romance set in Tudor England. Meg is a fun and feisty heroine and Alejandro a suitably dashing yet reticent suitor. The story kept moving at an excellent pace with just the right blend of action and exposition. This is not a deep, thought-provoking book, but it's a great, fun read that offers a pleasant way to escape to another world for a few hours. If you like YA and stories of witches and magic, with a good dose of romance thrown in, then this is the book for you. I would certainly be happy to read on in the series.